Bahrain Confidential > Articles > Best In Dubai > It’s Dubai Unscripted: BC reviews the Renaissance Downtown Hotel Dubai. 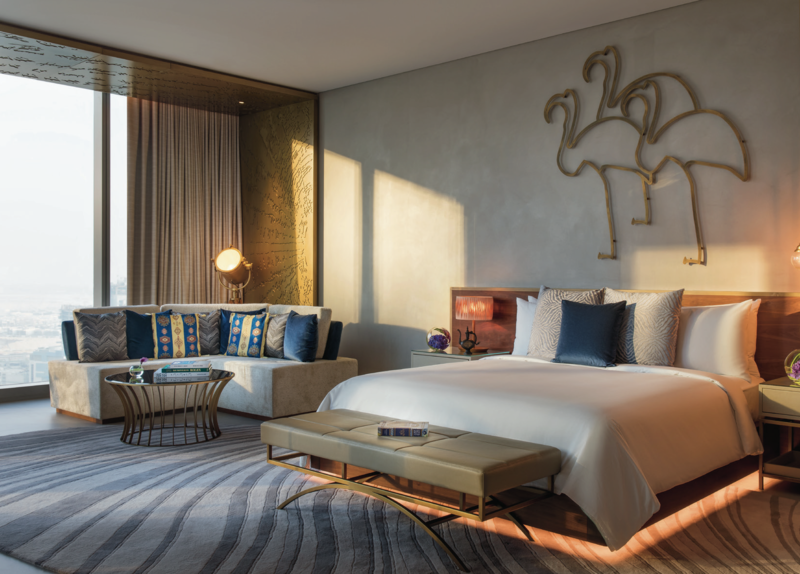 It’s Dubai Unscripted: BC reviews the Renaissance Downtown Hotel Dubai. 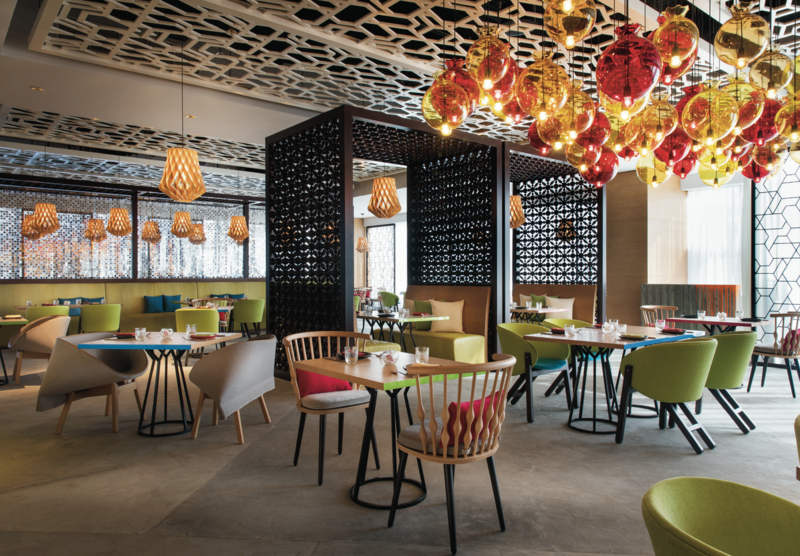 Bahrain Confidential reviews the Renaissance Downtown Hotel, Dubai. Situated just a stone’s throw from the iconic Burj Khalifa, the hotel offers the best view in town of Dubai’s captivating skyline. Located in the thriving Business Bay district, Renaissance Downtown Hotel, Dubai is very close to the tourist attractions as well as the Dubai Mall and the Metro System. What’s really special for me was the interior of the hotel; it’s something that you really have to visit even if you’re not going to stay. The hotel boasts 298 guestrooms, including 65 sprawling suites, all thoughtfully-designed to tell a story. Led by the renowned interior firm WA International, the hotel’s design sets the stage to inspire a sense of spontaneous discovery at every turn: from the dynamic art installation of Dubai’s cityscape that takes center-stage upon arrival, to the cheeky photography in each guestroom, complemented by a Pablo Picasso’s famed camel sketch reimagined into a 3D iron rod sculpture – both playful jests to reframe your stay. The hotel ran out of rooms so they’ve upgraded my accommodation into a suite. Again, what made this room stunning was the interior… it was just incredible! Whereas most hotels tend to be quite similar, the Renaissance Downtown Hotel, Dubai definitely stands out! As the name suggests, Grounded is a simple, no-nonsense coffee shop that serves really amazing coffee. Offering high quality, hand roasted beans and brews as well as light snacks and pastries, this shop is more than just a place to get coffee. It’s a place to start the day and refresh along the way. Expertly fusing the food and feel of a Roman trattoria, Florentine steakhouse and Neapolitan pizzeria into one buzzing restaurant, BASTA! serves up full-flavoured Italian cuisine in a seriously stylish space. Bleu Blanc by Michelin-starred Chef David Myers is a restaurant that reflects a Southern French farmhouse. It features a relaxing terrace offering an amazing view of the Canal – a perfect place to unwind in the city and enjoy a drink or two. 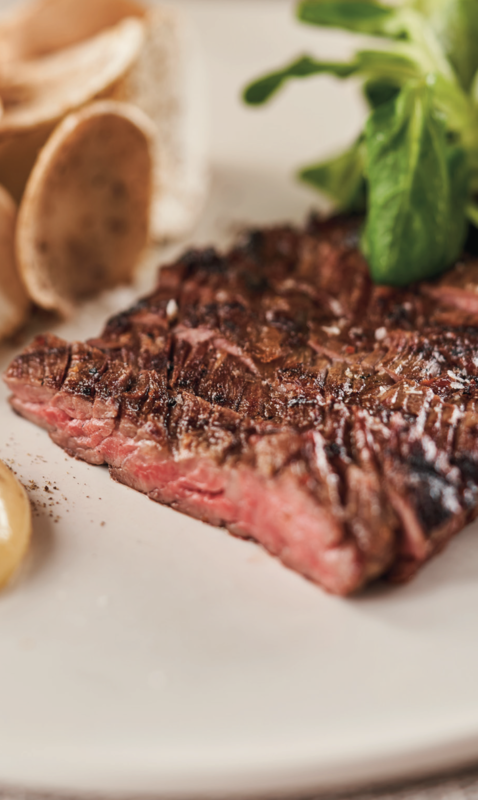 According to Bleu Blanc, the focal point of the restaurant and its menu is the wood-fired grill, representing the fire that often is reminiscent of the heart of a French farmhouse – a source of warmth that brings loved ones together. Moving onto the star of the night, the scrumptious offerings. 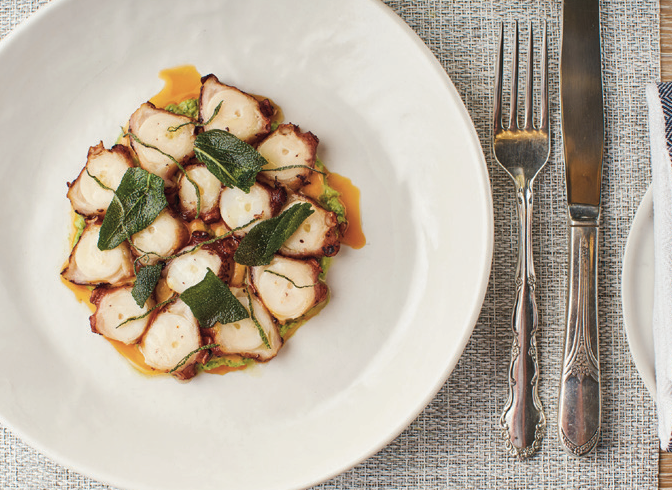 The course started with the perfectly charred octopus. They had a selection of the steaks which was the Black Angus Butcher’s Cut and I had the rib eye as the main. I also had mac and cheese with black truffles as a side dish. That was a lot of food however, the Chef insisted that I do not leave the restaurant without trying the King Crab leg and it was really incredible! The service they offered was impeccable. I had somebody called Lauren who was serving me; she made the night a great journey and I was very well looked-after throughout the dining experience. Furthermore, the General Manager Juan was very attentive and made sure that I had a spectacular time. He took real pride in the quality of his restaurant. 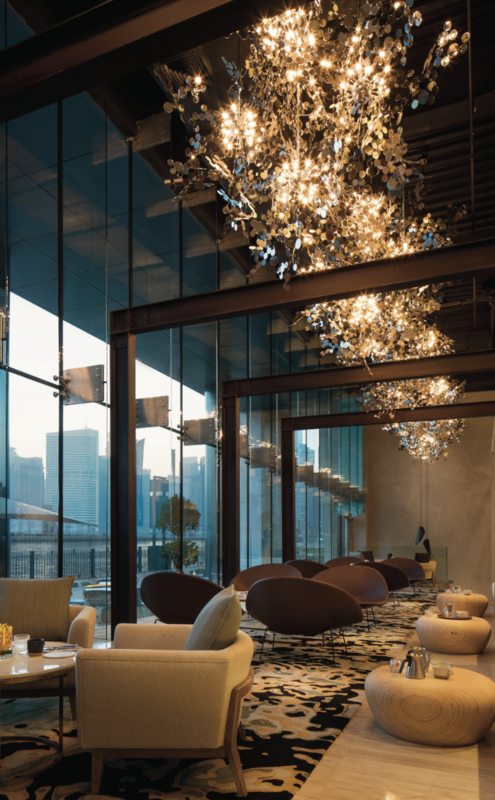 With unique dining experiences, contemporary meeting facilities, chic interiors, and a glamorous location, what more could you possibly ask for?